As the 1947 Prix de Rome winner, Albert Wein, N.A. is most recognized for his modernist approach to a relatively traditional classical canon. 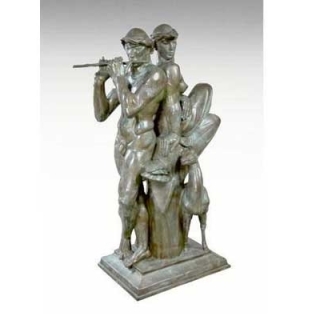 His infatuation with the female form coupled with his innate ability to transcend the hard qualities of bronze to create works which were considered balanced and delicate, place him as a classical modernist amongst his contemporaries. Many of his greatest works were to be cast in lifetime editions of 12, but due to his untimely death, most editions were never fully produced. Like other notable modernists, his style dramatically changed over his oeuvre, making amends for certain artistic styles and themes concurrent with the times. His earliest works heavily reference the W.P.A. style of massive, powerful figures, while his works dating from the late 1940s reveal a softer, perhaps more mindful, approach towards the human form; a style he would later return to in the 1970s. Winning the Prix de Rome in gave Wein the opportunity to see firsthand the Italian Renaissance Masters’ sculptural ingenuities. Even during his most abstract periods of the 1950s and 1960s, Wein’s utilization and adaptation of the classical form is evident. In addition to winning the 1947 Prix de Rome, Wein won every major award given at the National Academy and the National Sculpture Society. 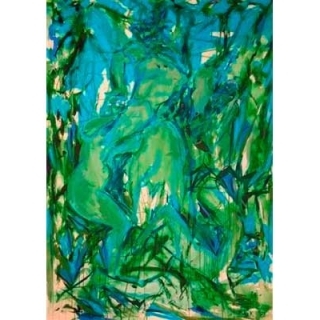 In the mid-1950s he was awarded the Tiffany Foundation Fellowship and in the 1980s, as a fully matured artist, he was awarded the Rockefeller Foundation grant in Italy. His notable and varied exhibition history, including the Metropolitan Museum of Art, the Whitney Museum of American Art and The Boston Athenaeum support the recognition of his unique ability to master the human form in any material, whether stone, wood, bronze or terracotta. All of his bronze sculpture shown here was cast and patinated under Wein's close supervision. Many of the editions, although authorized for 12 plus a proof, were not fully cast and their molds destroyed. A retrospective of Wein’s work was held from October through December of 2008 at the Boston Athenæum.